Hermann stepped onto the Ray Steinhoff court with an eight game winning streak and New Haven coming off Tuesday’s lose at Union. 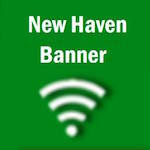 Since 2005 the two teams have played each other 13 times with New Haven leading the series 9 to 4. This was the first year neither team faced off in one of the three regular season tournaments. In the previous six years the two teams had played eachother at least twice each season. Ryan Menke knocks down a jumper early in the first quarter. The Shamrocks battled back in the second quarter ending the half with Austin Madden draining a deep three as time expired to bring New Haven within two, 19-17. The two teams matched each other basket for basket in the third as Hermann clung to a two-point lead, 29-27. A combination of Hermann’s defense and Josh Schannuth hitting two free throws with 12 seconds left, gave the Bearcats a four-point lead propelling them past New Haven 35-31. Hermann’s Schannuth led all scores with 17 points, scoring 13 of his teams 16-second half points and helping to extend their winning streak to nine, improving to 17-4 overall and 5-0 in conference play. Charlie Tritch, pictured left, scored a team high 12 points, followed by Ryan Menke’s 11 points. New Haven loses their second in a row, falling to 12-9 overall and 2-4 in the conference. New Haven will travel to St. James on Tuesday, who they lost to in the second round of the Hermann Tournament 45-33. QNHN will be broadcasting live from St. James, you can tune in on QuickNewHavenNews. It was a jam packed gym for Homecoming night on Friday.